Father’s anxiety level and “authoritarian” family types are associated with the long-term effectiveness of CBT for children and youth with anxiety. It is well-known that the occurrence of anxiety disorders is high in children with autism and that cognitive behavioural therapy (CBT) is an effective treatment. The gains from CBT have been seen up to two years after treatment. However, individual differences and variations exist between how people respond to CBT – some benefit more than others. The effectiveness of CBT has been linked to child factors (e.g. age, internalizing symptoms), parental factors (e.g. anxiety, depression, hostility, paranoia) and family factors (e.g. dysfunction). This study examined which child, parent and family dynamics predicted long-term treatment effectiveness in youth who received CBT for anxiety. The researchers recruited 79 youth with autism that had at least one anxiety disorder, aged 7-18 years. The youth received a version of CBT that had 15 sessions that lasted an hour each. Anxiety was measured before treatment, right after, 3 months after, and 1 and 2 years after the treatment was given. Child behaviour, parent anxiety, and family type were assessed. Family type was sorted by rating family relationship (how cohesive, expressive, and supportive a family was) and system maintenance (how controlled, hierarchical and authoritarian a family functioned; for example, ratings of questions like “there was strict punishment for breaking rules in our family”). Four groups were made: 1) uninvolved families (low relationship/low control, n=16); 2) authoritarian families (low relationship/high control, n=23); 3) indulgent families (high relationship/low control, n=20); and 4) authoritative families (high relationship/high control, n=16). The researchers looked at which characteristic was correlated with greater treatment effectiveness. Effective treatment was indicated by a decrease in anxiety scores between the assessment timepoints. The researchers found that child factors (age, gender, internalizing and externalizing behaviours) and maternal anxiety did not predict long-term treatment effect. Rather, they found that children with anxious fathers and children in “uninvolved” family types were less anxious before treatment and had more gradual (e.g. slower) improvements for their anxiety. 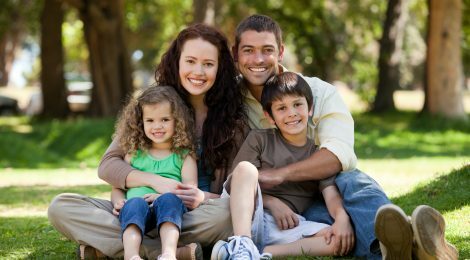 When the researchers examined the family types, they found that children in “authoritarian” families were more anxious but responded well to treatment compared to the other groups. Father and family factors are important in the treatment effectiveness of anxiety in youth with autism. Children with anxious fathers were found to be less anxious, consistent with the idea that paternal roles influence anxiety development and confidence in children. It could also mean that those families sought help earlier. In terms of family dynamics, uninvolved families may be less tight-knit and not recognize or report anxiety in their children. Importantly, the structure in authoritarian families may fit well for youth with autism going through CBT, which itself is a very rule-based and structured treatment. This may have implications for service providers as they consider treatment options for different families and how to maximize the therapeutic process. One limitation to this study was that autism symptoms in the parents, a possible influencing factor, wasn’t measured. More research is needed to draw firm conclusions. Van Steensel (PhD) is a researcher in the Faculty of Social and Behavioural Sciences at the University of Amsterdam in the Netherlands. Zegers (MSc) is a researcher and Bogels (PhD, C. Psych) is a professor of Developmental Psychopathology at the University of Amsterdam in the Netherlands. Van Steensel, F. J. A., Zegers, V. M., Bogels, S. M. (2017) Predictors of Treatment Effectiveness for Youth with ASD and Comorbid Anxiety Disorders: It all Depends on the Family? Journal of Autism and Developmental Disorders 47:636-645.